Just contact me and we can develop an individual program for you. You are welcome to come in my office, the direct contact is always very conducive. (Price usually 4 hours for 80, - € and 8 hours for 140, - €). Our gratis travelguide from our close region gives you great information and motivation to travel in ther basque country. You can download for free. 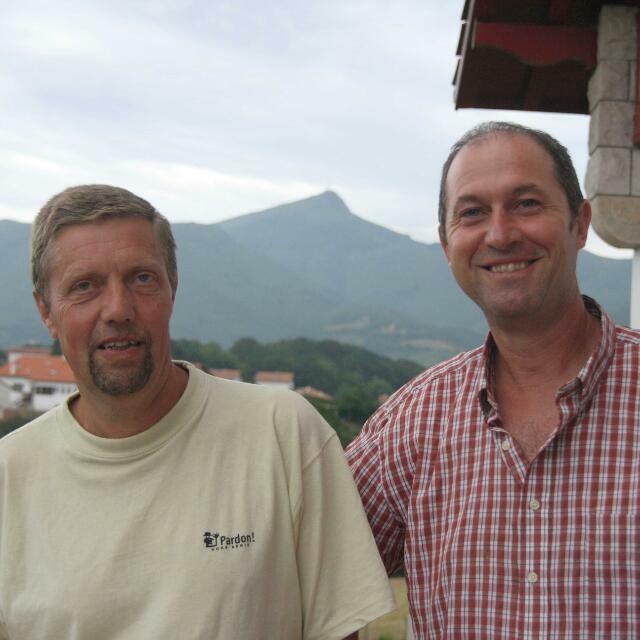 Guides in the Bask country North (France) and South (Spain) since many years, proprose visits in few languages in the whole region, especially the most characteristic towns and villages, e.g. Biarritz, Bayonne, Saint-Jean-de-Luz, Espelette, San Sebastian, Pamplona, Bilbao etc. Age Leijenaar and Luciano Piccolo are living in the same village of Urrugne / Olhette like me.